In my essay, “Art and Objectivity,” I lay out a theory of how to understand the concept of objectivity in aesthetics. Rereading the essay today, almost three years after I originally wrote it, I stand by my arguments, but I also recognize there is some confusion over the meaning of subjectivity that should be clarified. Objectivity refers to the relationship between a subject and an object which is determined by the intrinsic characteristics of both entities. For example, humans (subject) need water (object) to survive. This statement is objectively true due to the intrinsic nature of both humans and water at a physical level. Subjectivity refers to the relationship between a subject and an object which is determined by the intrinsic characteristics of only the subject. Aesthetically, this means that the viewer evaluates an art piece in accordance with only his own nature, and not the nature of the art piece. This subjective evaluation is the mainstream view of the nature of aesthetics, though I argue in “Art and Objectivity” that it is logically invalid. Twenty years ago, the idea of comic book movies becoming a big thing, let alone becoming universally respected, winning Oscars, and dominating the Western cultural landscape for a decade, would be considered absurd. But then the Lord of the Rings trilogy happened and showed that weird magical fantasy stories could be both well-made and financially viable. At the same time, a few OKish early comic movies proved to be passable, like the early X-Men and Blades, which finally culminated in Spider Man 1 and 2 being legitimately good. Then came the Nolan Batman trilogy and then Marvel started up, and now here we are in a day and age when we can expect 5-10 comic book movies per year coming from increasingly obscure sources, like Guardians of the Galaxy and Shazam! Comic book movies are mainstream, respected, cherished, and universally recognized as culturally important. Can video game movies follow the same trend? Shadow of the Colossus has been analyzed to death since it first came out over 13 years ago. But given that it is one of my favorite video games of all time and I recently played it for the first time in half a decade (or rather, it’s new PS4 remake), I may as well give a quick breakdown on why I think this game has such a lasting legacy. SotC is a triumph of minimalism. It creates a hauntingly beautiful world packed with enough atmosphere, mystique, lore, characterization, and excitement to make SotC one of the most well-respected and studied games of all time. And it does this precisely by doing so little of all of it. Transistor is one of my favorite games of all time. Upon completing my first playthrough I was enraptured by the atmosphere, visuals, soundtrack, characters… and that I understood next to nothing of what happened over the preceding six hours. Transistor is clearly not meant to be easily understood. Its story is presented in a manner that’s somewhere between “avant garde” and “infuriatingly vague.” The game shows a world dramatically different from our own based on unexplained rules that defy all physical and metaphysical rules. This world is populated by quite strange individuals who not only never react with as much shock as one would expect from, say, having one’s soul become trapped in a giant sword, but also never bother to just sit down explain whatever insane event happened two minutes ago, like, say being attacked by a sentient, semi-organic building. Yet I love Transistor dearly. I not only love it for the aforementioned atmosphere, visuals, soundtrack, characters, and bewildering narrative, I love it for the vision. It blows my mind that a group of people actually conceived this idea, sketched out every component of its otherworldly presentation and utterly unique combat, raised money from investors, and then made a full-fledged video game product out of it. There simply is nothing like Transistor1. It looks like nothing else, sounds like nothing else, feels like nothing else, and therefore stands out as the type of singularly-envisioned creation that the characters of Cloudbank would be proud of. One of the things I love most about Transistor is that it is maybe the densest game I have ever played. For one thing, I managed to write 29,580 words about a game that takes about six hours to play through. So an experienced Transistor player should be able to play through the game again in less time then it takes to read my analysis of its world, plot, and themes. But that’s just the nature of the game. You could freeze any single frame in the entire game and spend an hour talking about the implications of every detail, from the architectural designs to the characters’ clothing. I’m not sure there is a narratively-based game out there which packs so much content into such little space. I didn’t set out to make this work so long, but the piece just kept extending itself. Every time I tried to write about one tiny aspect of the game, I had to go back and write about five more things to put the original item in context or fit it into the larger narrative and world-building structures. Honestly, just trying to figure out what, how, and when to explain every mechanic of Cloudbank and how it fit into the general plot was enormously challenging and rewarding. So if at any point during the analysis you find yourself not understanding a particular explanation, I suggest making a note and coming back to it later after you’ve read more; the added info might make the pieces fall in to place. Furthermore, I am completely open to suggestions on where I have made mistakes or overlooked important details. Feel free to send me a message about anything worth changing or adding in this analysis. Part 1: Blank Canvas – A description ofthe nature of Transistor’s universe and the backgrounds of its key characters. Part 2: In Circles – A quick timeline of events during Transistor’s gameplay. Part 3: Impossible – A complete walkthrough of the game’s entire narrative. Part 4: Old Friends – An evaluation of Transistor’s themes and what is ultimately the point of the whole game. To explore Transistor, I will go through the game in the opposite order to which it is presented to the player. 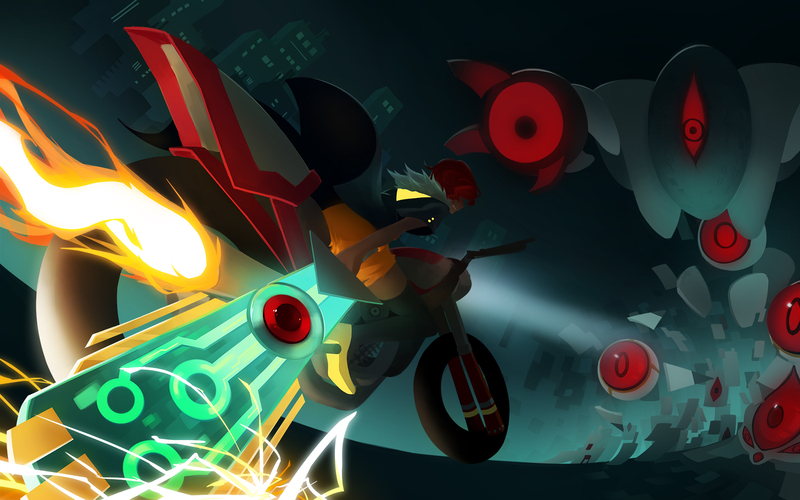 Transistor starts with its focus sharply on its two main characters, Red and the Man, and then expands outward to reveal the city of Cloudbank, some of its inhabitants, the Camerata, and glimpses and theories at the true nature of Transistor’s self-contained universe. 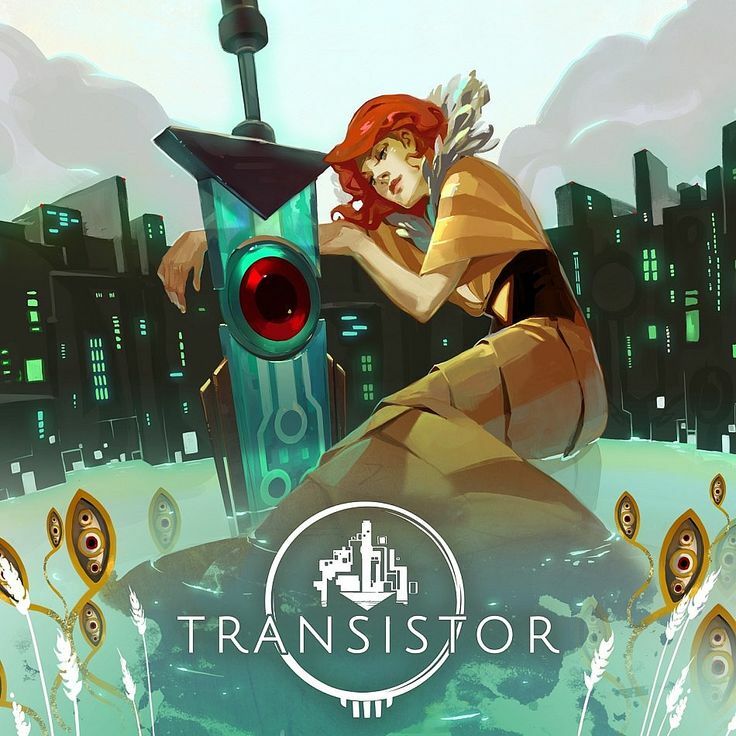 But the best way to understand the minutiae of these characters and setting is to start with the game’s most abstract elements to establish the fundamental rules of Transistor’s world. As with pretty much everything else in Transistor, the timeline of events is vague and the best we can do is piece together a few details with a healthy dose of speculation. Everything described here will be discussed in greater detail later in Part 3 so it might be helpful to refer to this timeline while reading the next section. 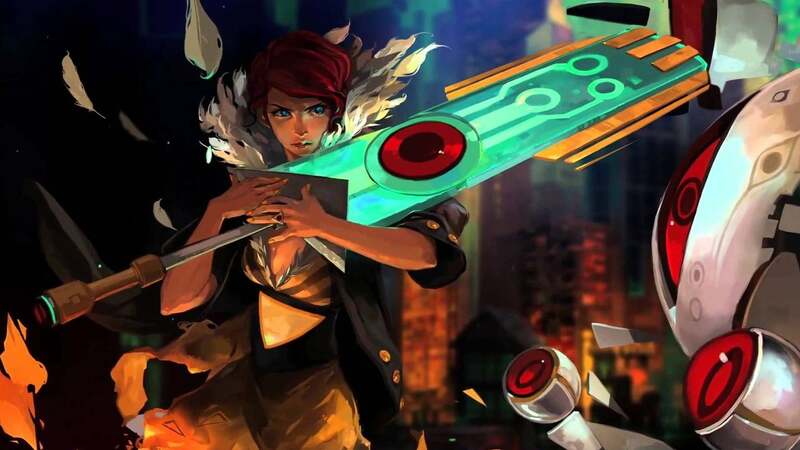 Transistor starts in medias res after the story’s inciting incident. For the sake of simplicity and logical progression, I’ll go through the game in chronological order. My goal is to explain just about every plot event and detail presented in the game.